Suspended from an antique brass semi flush mount, the Fireglo shade has a cream main base colour, with a small base flame coloured edging and a deep border with green insets. Many Art Deco styles were based on Egyptian designs. The Fireglo Tiffany has wonderful Egyptian style and lives to its name with a deep border of burning flame colours. 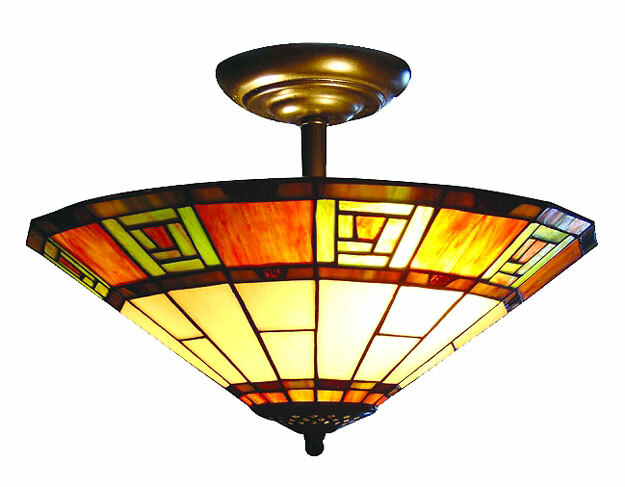 Part of our Art Deco style lighting collection.Takes 2 x 60 watt lamps.